Today is International Day of Happiness. 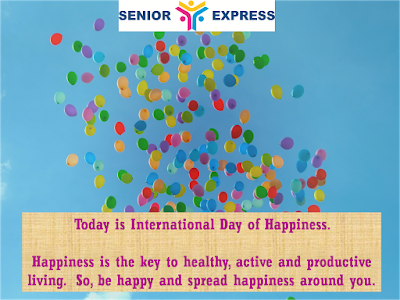 Senior Express (http://www.seniorexpress.in) believes that Happiness is the key to healthy, active and productive living. So, be happy and spread happiness around you. 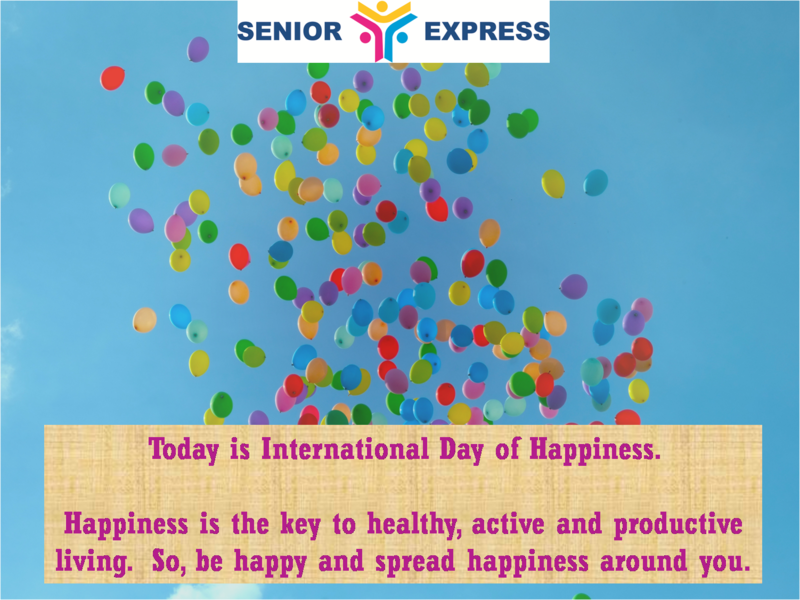 Since 2013, the United Nations has celebrated this day to recognise the significance of happiness in the lives of people around the globe.